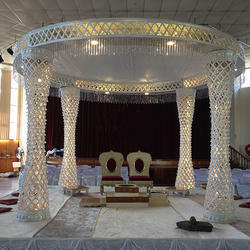 We are engaged in offering the finest quality Fiber Wedding Mandap. 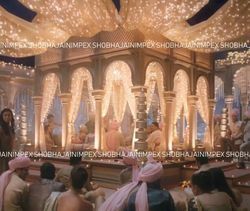 Keeping in mind the ever-evolving requirements of our clients, we are devoted towards offering an optimum quality range of Designer Fiber Peacock Mandap. We have been constantly engrossed in providing Fiber Mandaps to our patrons. We manufacture different types of fiber vidhi mandap which is available with various designs also we manufacture customised fiber vidhi mandap as per customer requirement.